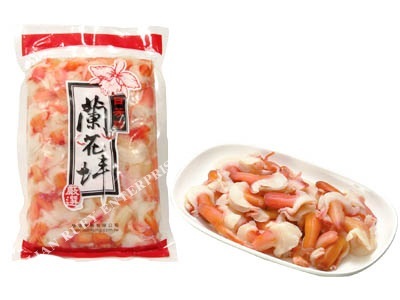 Orchid Brand Orchid Clam | LIAN RUEY Enterprise Co., Ltd.
Orchid Clam is deep harvested 200-300 kilometers offshore in the pristine, pollution-free North Atlantic Waters. Nutrient-rich cold waters (0oC-5oC) contribute to the delicate and sweet taste. The best feature of Orchid Clam is its orchid shaped appearance, beautiful natural color and the supreme sweetness. Orchid Clam contains OMEGA 3 fatty acids and Steresterol B, is a healthy nutritional appeal and an excellent source of iron. There are various ways to cook Orchid Clam. It can be quick fried, added to soup or mixed in salad. It is also a good material for sushi topping.The best feature of Orchid Clam is its orchid shaped appearence, beautiful natural color and the supreme sweetness.